On 29th July myself, my colleague Ben and one of our Volunteers Brian visited the British Geological Survey (BGS) to take a few of our fossils specimens for photography and 3D scanning. 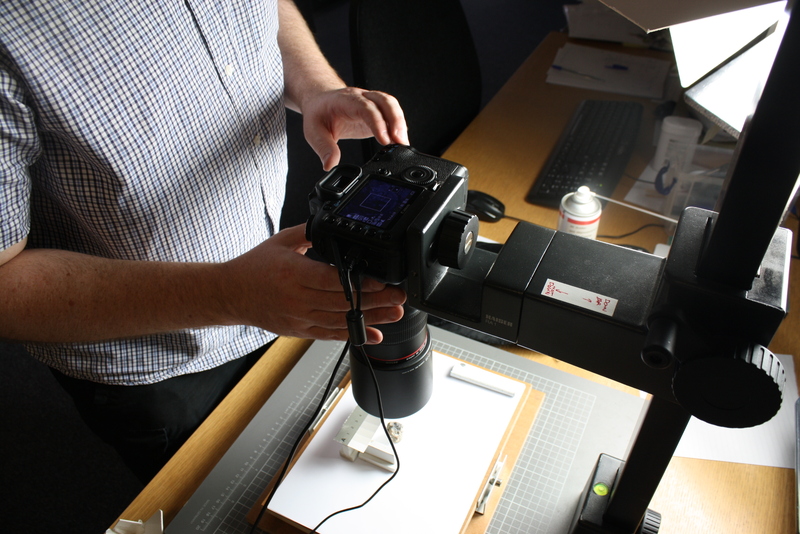 BGS are coming to the end of a digitisation project called GB3D type fossils, run by Simon Harris and Dr. Michela Contessi and funded by JISC, which has been 3D scanning all the type fossils in museums in the UK. The data will soon be freely available on their website and the results are quite impressive. If you have the equipment the 3D scanned fossils can also then be downloaded and printed on a 3D printer. 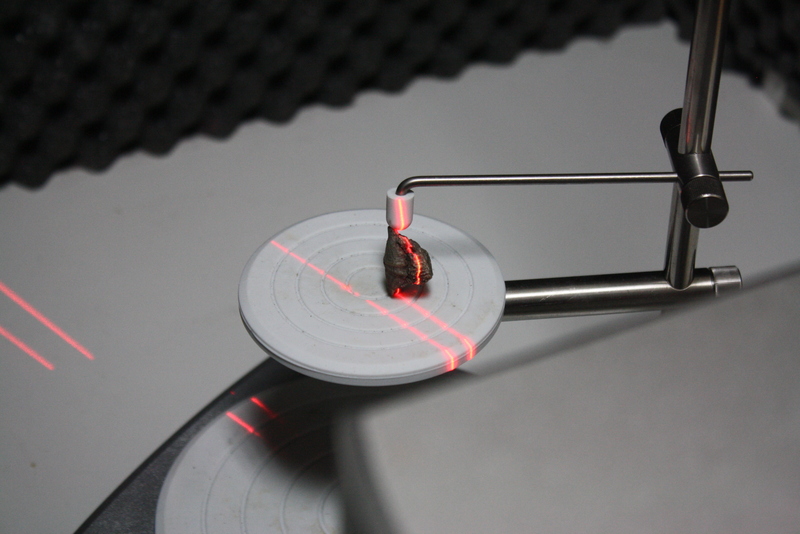 Our specimens were particularly small so only one item, a brachiopod, was big enough to be scanned. The other two fossils, holotype and paratype trilobites, were photographed on both sides and the labels of the items were also photographed as a record. It was also a great opportunity for us to learn some tips to improve our own photography, for instance objects should be lit from the top left when photographing. Whilst there we were also lucky enough to be shown around their museum collections, library and stores by Simon Harris, who will soon be the collections conservator at BGS. 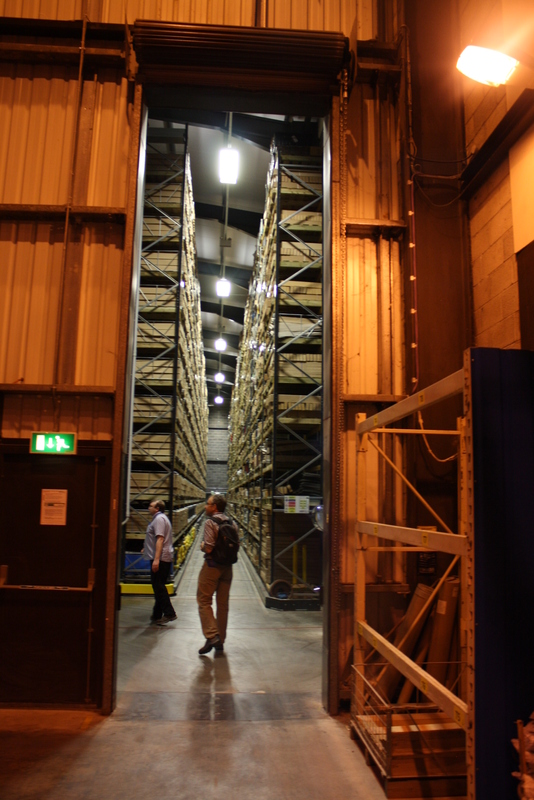 We were surprised by the size of their stores – 28,000 trays housing over 3 million specimens, and that isn’t including all the borehole samples they retain! The type, figured and cited collection alone is around a quarter of a million specimens. 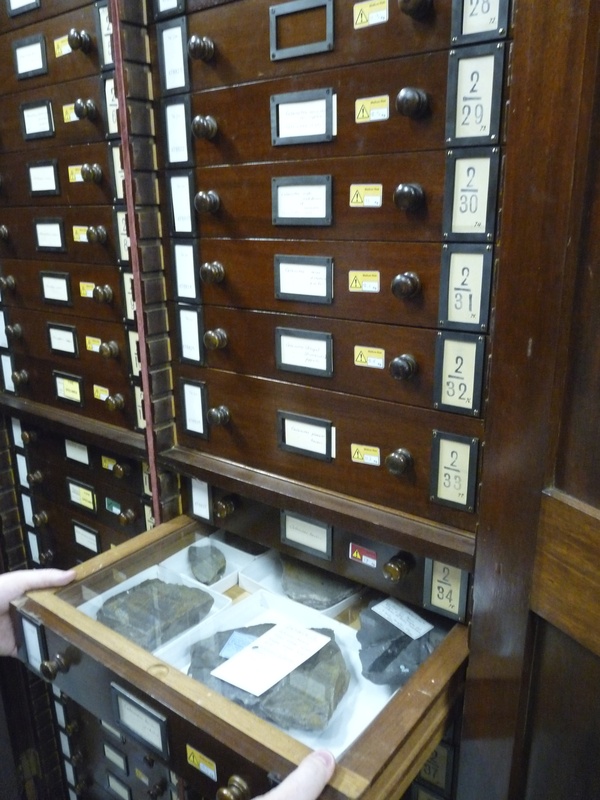 The museum collections are still kept in wonderful Victorian wooden cases and we were interested to find that they hold several fossils collected by one of the main contributors to Buxton Museum & Art Gallery’s collections, J. W. Jackson. As part of the GB3D Type fossil project, later this month there will be a treasure hunt for 3D-printed fossils created from the 3D scans. A printed fossil will be hidden in some of the museums that have taken part in the project and the BGS are inviting visitors to search for the 3D prints and enter the treasure hunt! The treasure hunt will run between 22nd August and 12th September. We will select five winners from the entries at our museum and those winners will get a VIP tour of Buxton Museum & Art Gallery. The winners will also be entered into the grand prize for a chance to win a tablet preloaded with 3D fossils. Details of how to take part will and what to look for will be updated shortly. 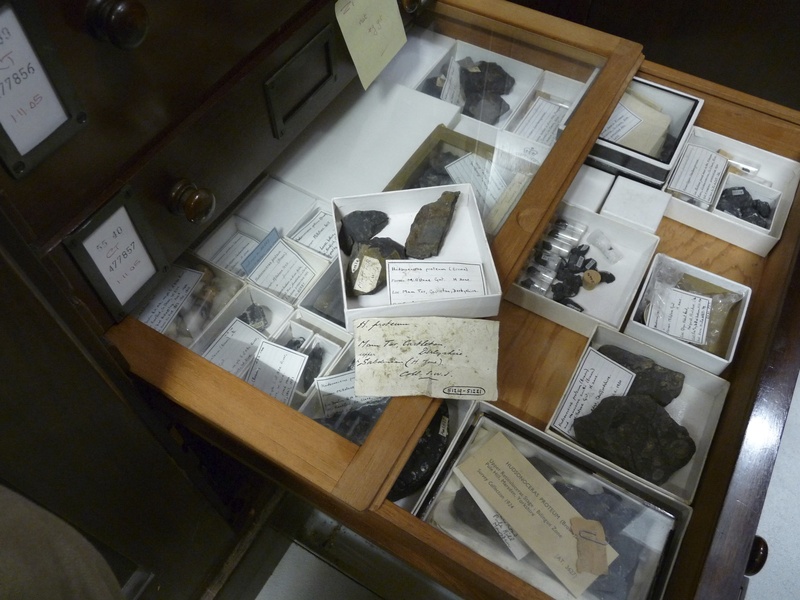 This entry was posted in CITL News and tagged 3D Printing, 3D Scanning, BGS, Brachiopod, British Geological Survey, Buxton Museum & Art Gallery, Collections, Collections in the Landscape, Fossil, Fossils, Geology, Holotype, J.W. Jackson, Museums, Paratype, Trilobite. Bookmark the permalink.